Do you need to reset Internet browser settings to default? You no longer have to worry about uninstalling the program and then reinstalling it to get it back to the default settings. It has a very simple solution to fix your problem. 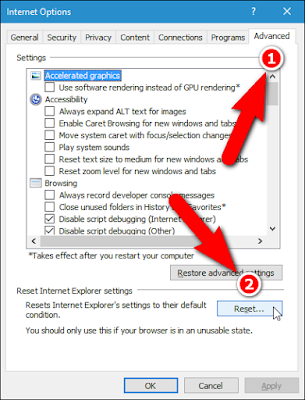 Let us have a look at the simple method to reset Internet browser settings back to default. There are many browsers available to surf the Internet. We shall give you solutions to restore Internet settings to default for some of the commonly used browsers. 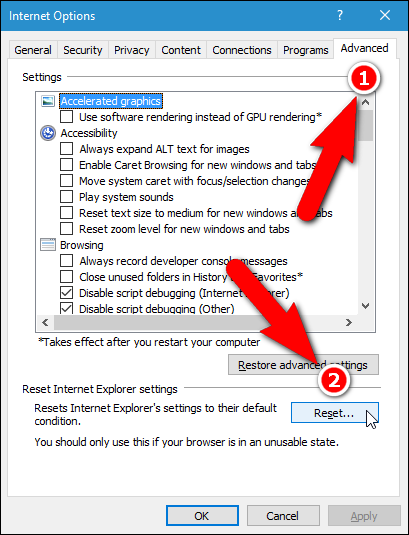 You can restore IE to its default settings by launching the browser. Now, click on the Gear icon in the top right-hand corner and select ‘Internet Options’ from the drop-down menu. 1. Click on the ‘Advanced’ tab and then ‘Reset’. You will be given a warning that says ‘Are you sure you want to reset all internet explorer settings?'. This is only to help you prevent wiping off all your personal settings accidentally. You can even tick on the ‘Delete personal settings’. If you click on the box it will delete all the temporary files, history entries, and cookies. Passwords saved in IE will also be deleted. Once you click ‘Reset’ you will get a list that shows which settings were reset. Restart your computer and the changes will take effect. Launch Google Chrome and click on the three horizontal lines in the upper-right corner. From the drop-down menu select ‘Settings’. Type ‘reset’ in the search box and you will see "Restore settings to their original defaults". Click on that. A new window will pop-up and click on the Reset tab. Launch Firefox and click on the menu button at the upper-right hand corner. From the drop down menu click on the blue Question Mark icon that means ‘Open Help Menu’. Select ‘Troubleshooting Information’ from the side-out menu and click ‘Refresh Firefox’. This is visible under Give Firefox box in the upper-right hand corner of the Troubleshooting Information page. Click ‘Refresh Firefox’ and a new box will appear that informs which of your customizations will be removed. 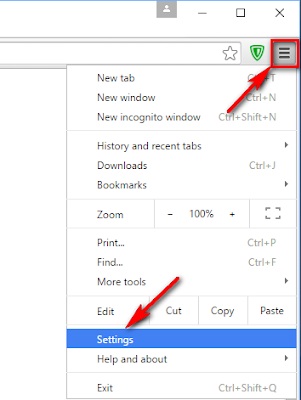 On clicking the button Firefox will be restored to the default settings. A folder called ‘Old Firefox Data’ will be saved on the desktop in case some important data gets deleted. You can try to use this folder to recover the deleted settings. If not, then just delete the folder from the desktop. 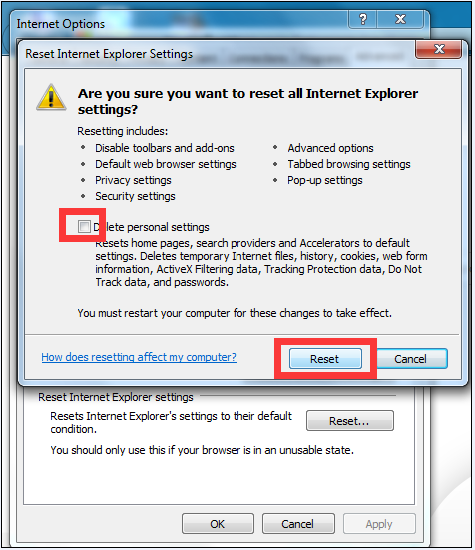 This is all you need to do to reset the Internet browser settings to default.